All associates and employees at the Rounsavall Title Group take great pride in both providing superior care and attention to all of our clients, as well as being recognized within the community for providing one of the most unique closing experiences around. This starts with the founder of our company, Mr. G. Hunt Rounsavall, Jr., and continues today with the recent addition of our newest attorney, Ms. Asher Snow. Hunt is a native of Louisville and is an attorney whose primary areas of practice are real estate and real estate litigation, as well as corporate law and estate planning. He received his Bachelor of Arts degree in Political Science from Furman University in Greenville, South Carolina in 1995, and then graduated from the University of Kentucky College of Law in 1998. Hunt has been licensed since 1998 to practice law in both the state courts of Kentucky as well as the U.S. District Courts for both the Eastern and Western Districts of Kentucky. He is a member in good standing with the Louisville Bar Association, the Kentucky Bar Association and the American Bar Association, and is also an associate member of the Greater Louisville Association of Realtors. In addition, he is the author of several published works, including the treatise entitled “Construction Lien Law in Kentucky" (Lorman Publishing, 2001). During the course of his career, he has conducted numerous residential and commercial closings throughout the Commonwealth of Kentucky, in the forms of both purchase transactions and refinances. 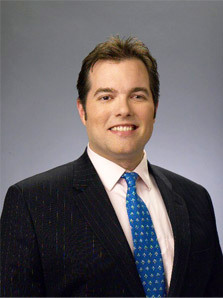 He has represented banks, mortgage companies, private lenders, and individuals throughout the nation. On a personal level, Hunt was raised in a community service-oriented environment, as his parents were integral in the founding and development of Louisville's Ronald McDonald House in 1984. In fact, he joined the Board of Directors of the Ronald McDonald House in January of 2000, and the following year, he was asked to serve as chairman of that organization's first capital campaign since it had originally opened back in 1984, and he personally oversaw the raising of over $4,500,000 to expand the House's housing capacity by over 50%. He has also served on the boards of directors of several other community organizations throughout Louisville, including the Louisville Science Center. He currently serves on the Board of Directors of the Children's Hospital Foundation benefitting Kosair Children's Hospital (on which he also currently serves on the Board's finance and grants committee). For his leadership within the community, he was previously named as one of Business First of Louisville's “Forty Under 40," which annually recognizes the top forty business leaders in the Greater Louisville area under the age of 40. Furthermore, for his overall service to the Commonwealth, Hunt received a Commission as a Kentucky Colonel from Governor Steve Beshear on September 7, 2010. When he's not working, Hunt enjoys spending time with his wife, Kelly, as well as their twin daughters, Kara and Krista, and their new baby girl, Julia. He also enjoys reading, working out and playing with his dogs, Houston and Jake. Asher recently joined the Rounsavall Title Group as an attorney, whose primary areas of practice have been real estate, corporations and estate planning. Originally from Frankfort, Kentucky, Asher moved to Louisville in 2001 and has lived here ever since. She received her Bachelor of Arts in both History and Political Science from Presbyterian College in Clinton, South Carolina in 2000, and then graduated from the University of Louisville Brandeis School of Law in 2004. She has been licensed to practice law in Kentucky since 2004. Throughout her career, she has conducted numerous residential real estate closings throughout Kentucky and Southern Indiana. 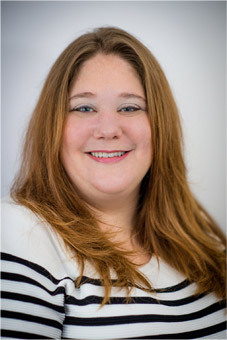 Prior to her work with the Rounsavall Title Group, she was General Counsel for another local title company in Louisville, where she represented numerous national and local lenders with regards to their lending transactions within both Jefferson County and throughout the Commonwealth of Kentucky. In her free time, Asher loves reading, watching sports and spending time with her husband Vichan, their 5 year old daughter, Rhorey, and their Yorkshire Terrier, Bruce.